HONOLULU (AP) — Two new cases of rat lungworm disease contracted in Hawaii have been confirmed, the state Department of Health said. An adult vacationing on the northern side of the Big Island contracted the disease in December, marking the state's ninth case of 2018, health officials said. HARTFORD, Conn. (AP) — Daniel Lusa poked a long, wooden stick into a cavernous hole at the edge of a parking lot in Hartford's Behind the Rocks neighborhood. Beneath his feet, a network of dozens of tunnels was laid out across the dirt expanse next to Zion Street - a home for dozens of rats that camp out in the subterranean refuge during the day. MADISON, Wis. (AP) — A Wisconsin man is charged with a felony after police say he stabbed a friend's pet rat. ANCHORAGE, Alaska (AP) — Conservation officials are on high alert after a rodent has continued to evade capture on a small previously rat-free island off the coast of western Alaska. BOSTON (AP) — Suburban Boston communities are dealing with a surge in rat infestations. The Boston Globe reports that towns like Belmont and Peabody have focused efforts on eradicating growing rat populations. The Waltham City Council recently approved $15,000 to manage rodent issues after reports of dozens of rats playing in puddles. BANGOR, Maine (AP) — Rats aren't just for cities. Residents of rural New England are reporting an increase, mirroring a trend nationwide. Rats are everywhere in nature, but the four-legged invaders tend to thrive on human activity, whether it's a city or town, said Chance Strandell, of Brewer-based Maine Pest Solutions. LOS ANGELES (AP) — Public health authorities are investigating an outbreak of flea-borne typhus in downtown Los Angeles. DENVER (AP) — Denver officials say the increased sightings of rats at a city park are part of a growing number of rats citywide and statewide. The Denver Post reports city officials say while the rats aren't usually seen during the day, telltale signs of burrowing and chewing have been significantly more common at Civic Center park in the last year. MEMPHIS, Tenn. (AP) — A Tennessee high school will split its students among three locations as it cleans up a rat infestation that began last month. News outlets report that Kirby High School officials announced Monday that the plan will get roughly 800 students back to class full-time starting Sept. 17, and will likely be in place until after Christmas. HONOLULU (AP) — A task force of Hawaii Governor David Ige's announced new preliminary guidelines to help physicians diagnose, treat and manage rat lungworm disease. The task force's clinical subcommittee spent the last year crafting the guidelines, which were announced Thursday and will be presented in November during the annual meeting of the American Society of Tropical Medicine and Hygiene, according to the Hawaii State Department of Health. WASHINGTON (AP) — When Matt Kownacki bought his two-story home in May 2017, he noticed his yard was littered with burrows, crawling with unwanted, nocturnal neighbors. Kownacki and his wife, Alexandra, sought to eradicate the problem, so they filed a rodent complaint with the city. The exterminator sent by the District already was familiar with their Columbia Road home in the Park View neighborhood. "He knew exactly where and what the problem was," Matt Kownacki said. NEW YORK (AP) — Impossible Foods CEO Pat Brown insists his meatless burger is meat, explains why the product drew criticism from PETA, and admits he isn't the best taste tester for his own product. The company's patties are made with an ingredient Brown says helps replicate the taste of meat: a "heme" molecule found in the root of a soy plant, which is then fermented in yeast. 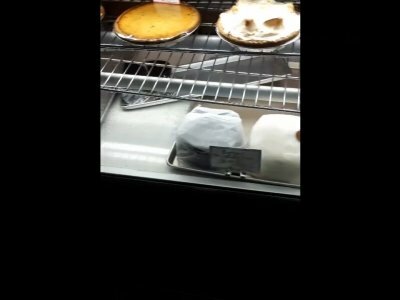 BALTIMORE (AP) — A historic Baltimore market is closed temporarily after a video posted on social media showed a rat scampering through a bakery's display case. HONOLULU (AP) — Hawaii has deployed two rat-sniffing dogs to help remove invasive rodents from a seabird sanctuary on Lehua. Border terriers Henry and Reese located possible rat burrows last week on the small island off Niihau's north shore, according to the state Department of Land and Natural Resources. FORT COLLINS, Colo. (AP) — A Colorado humane society group says food laced with rat poison has been found in several yards in a southeast Fort Collins neighborhood. The Coloradoan reports that the Larimer Humane Society says it has received several reports of suspicious food items found in yards in the Fossil Lake Ranch neighborhood. OLPE, Kan. (AP) — Animal shelter workers and sheriff's deputies have rescued 37 small dogs from a trailer home in central Kansas after someone reported finding one dead dog and another extremely sick one in a nearby dumpster. EPPING, N.H. (AP) — Animal welfare officials say several owls are dying from eating rodents who have consumed poison. Bird experts say several sick owls have been found in the Epping area. Expert Jane Kelly tells WMUR-TV that she believes rodenticide is to blame, saying owls are snatching up rats or mice that have already been fatally sickened by rodent poison. HONOLULU (AP) — A toddler on Oahu has contracted rat lungworm disease, the island's first case of the year, Hawaii health officials said. The Hawaii Department of Health confirmed Friday that the parasite was found in the child's spinal fluid following lab tests. The child became sick earlier this month and was hospitalized, prompting health authorities to investigate, officials said. This case marks the state's fourth confirmed diagnosis this year. PHOENIX (AP) — Great horned owls, one of the most common raptors in the United States, are being threatened by rat poison in their prey. Since 2011, the Arizona Game & Fish Department has identified 50 cases of wildlife poisoning from pest control chemicals. Forty one of those involved anticoagulant rodenticide. FAIRBANKS, Alaska (AP) — A Fairbanks man shot a pit bull to stop an attack on a small dog being walked by two girls outside his home, police said. Vern Woods fired two shots into the larger dog, which later was euthanized. EUGENE, Ore. (AP) — The Eugene City Council is considering an ordinance that would prohibit residents from feeding wildlife — except for birds, squirrels and feral cats. HONOLULU (AP) — State health officials have confirmed two new rat lungworm infections in Hawaii. Health officials said Wednesday that the separate cases involve an adult Maui resident and an adolescent visiting the Big Island from New York. Officials said the Maui resident became ill in mid-February and was briefly hospitalized. The individual was most likely infected on Maui but had a history of traveling to Oahu and the Big Island during the time when the infection might have occurred. SMITHFIELD, R.I. (AP) — Animal welfare authorities say they have rescued more than two dozen dogs as well as snakes and rats from a Rhode Island home. The Rhode Island Society for the Prevention of Cruelty to Animals and animal control officers from several communities removed the animals from a Smithfield home on Tuesday. They responded to the address after getting a tip from a concerned citizen. A rat, a pig, a goat and a zebra walk into the Eugene Public Library. What happens next? “A great adventure,” said adult services librarian Scott Herron. The iconic anthropomorphized animals make up the main cast of the comic strip “Pearls Before Swine.” Creator Stephan Pastis is giving an illustrated presentation at the Eugene Public Library on Thursday night. The Daily News says the program is in effect citywide after a successful 2016 pilot and the Environmental Protection Agency's approval of frozen carbon dioxide to kill rats. The health department's pest control director, Ricky Simeone, says dry ice is effective on rats but doesn't harm birds of prey. ASTORIA, Ore. (AP) — Oregon's largest cities — Portland, Eugene and Salem — have been seeing an uptick in urban rats this year. Scientists studying the effects of radiation from cell phone frequency emissions say there's evidence that the technology can cause cancerous tumors in the heart, but that the needed levels of radiation are much higher than what people are currently and frequently exposed to. MAGNOLIA, Ark. (AP) — The parents of a 2-week-old girl who authorities say suffered more than 100 rat bites have pleaded guilty to charges of permitting abuse of a minor. Finding ways to have your compost heap and chicken coop — minus the rats — was a hot topic this weekend at the 13th annual Good Earth Home, Garden & Living Show at the Lane Events Center. In December, four local pest control companies told The Register-Guard that during the past year or so, they’ve seen an increase in calls and complaints about rodents. The representatives all connected backyard gardens, compost piles and chicken coops to the growing problem.